It shouldn't surprise us that The Show Me State has a lot of awesome things to show you. It's the state that gave us Mark Twain, Chuck Berry, and 7 Up. 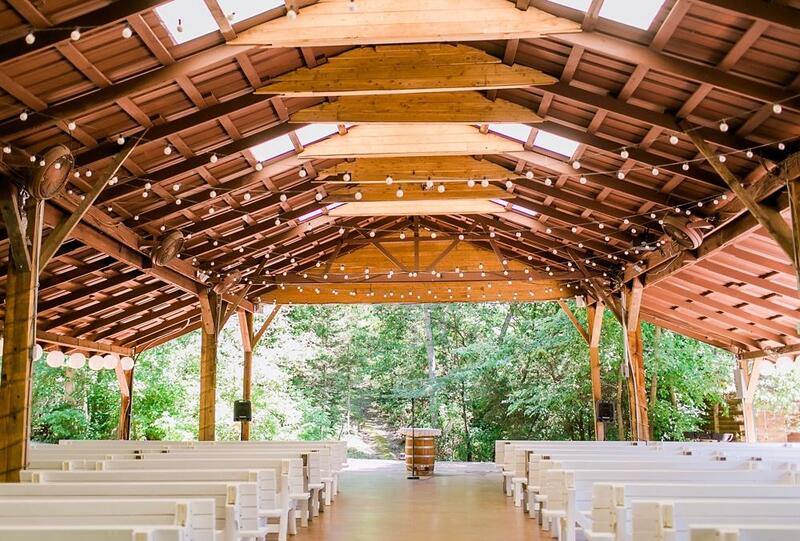 Now, it turns out they have some of the best wedding venues around. Whether you’re looking for a city loft or a country lift, Missouri can give you a glimmering skyline or the twinkling heavens. Let’s see what the best of the best be. Sophistication and style come together across these 28 acres of European-inspired architecture and landscaping. Akin to a manor in the French countryside, this home away from home overlooks the Oak Woodland Prairie and Oak Forest Reserve. 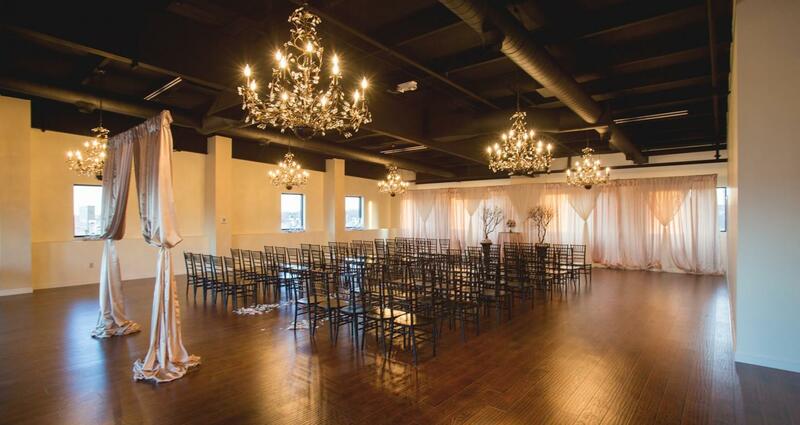 Stun your wedding guests with dazzling old-world charm in the on-site three-story Grand Hall gallery. 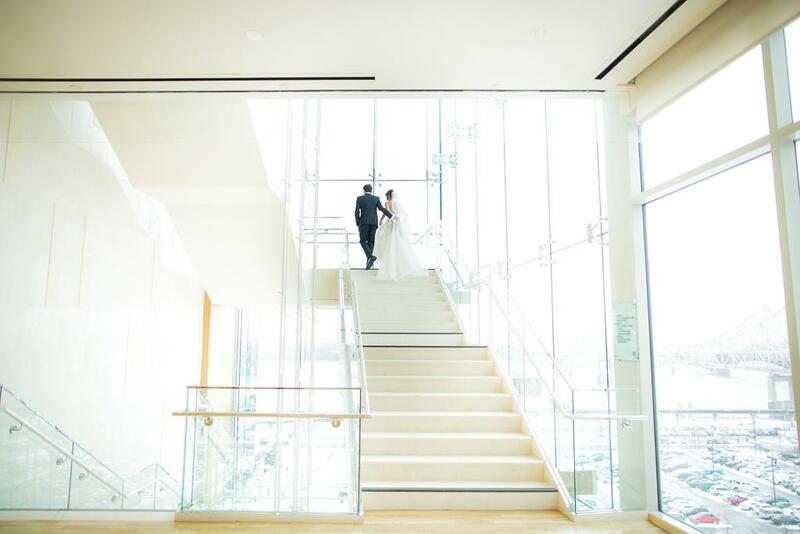 A luxury hotel with epic views in the heart of downtown sounds like a pretty ideal wedding venue—and that's before you learn this one sits near the Confluence of the Mississippi and Missouri Rivers. Weddings here get every angle of Midwestern hospitality. 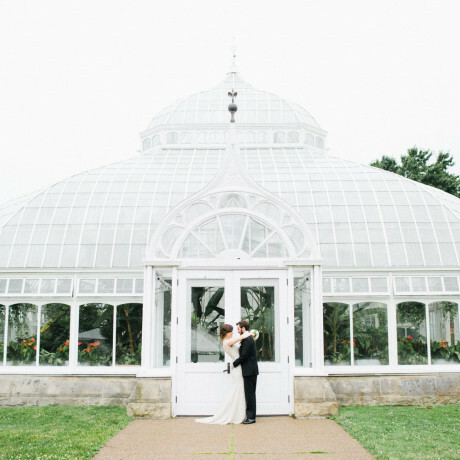 With the soaring Gateway Arch as the backdrop, a dream wedding awaits. It also helps that this comes with an on-hand wedding specialist, who can help with everything from invitations to musical arrangements. 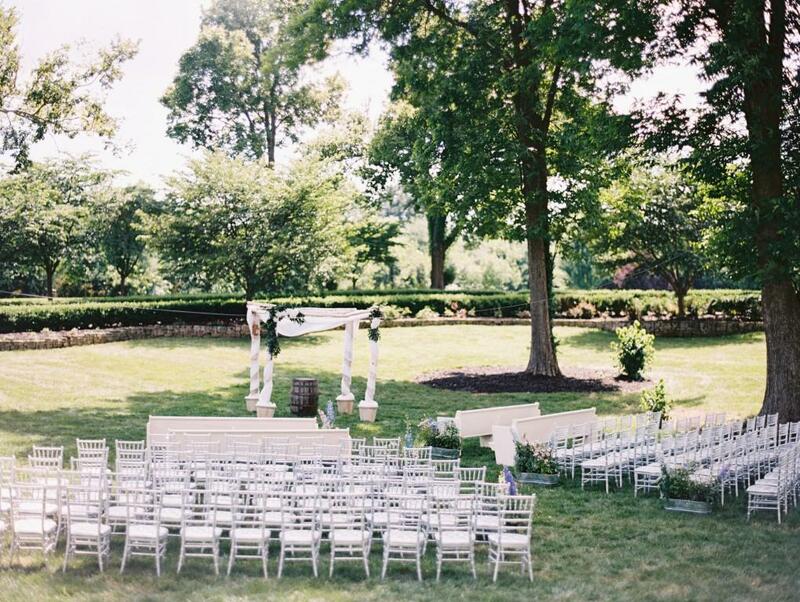 Rural ambiance and revered class cover the 10 acres of this majestic 19th Century mansion. 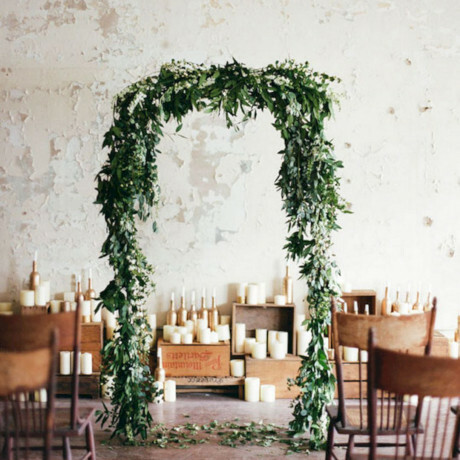 Weddings here are surrounded by vine-draped walls and photogenic beyond words. Still one of the largest and most luxurious houses in Greene County, the estate features a spectacular multi-level staircase, soaring ceilings, crystal-leaded windows, and stone fireplaces. Situated right along the Big River, this hidden gem is just as gorgeous as it is historical. Understated and eclectic, the owners have lovingly restored and rejuvenated this former mill so it may be enjoyed by generations to come. 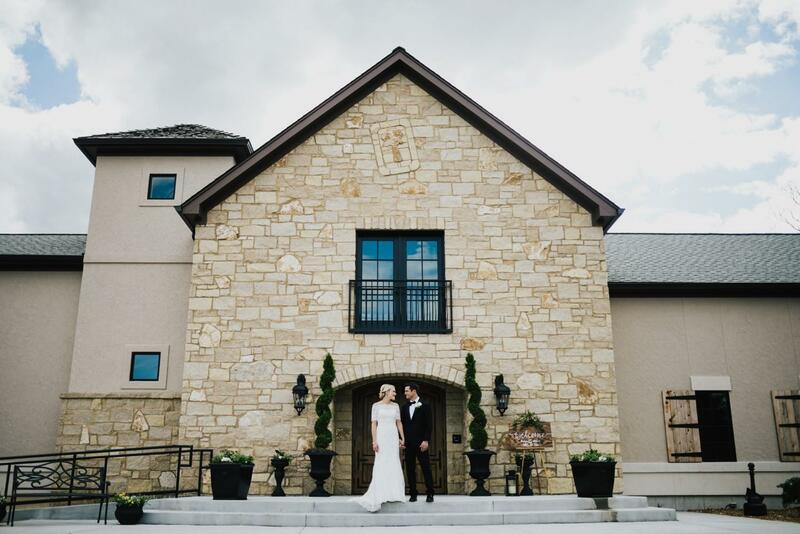 With event spaces and a charming B&B to boot, The Lalumondiere is sure to provide the perfect place for your "I Do's." 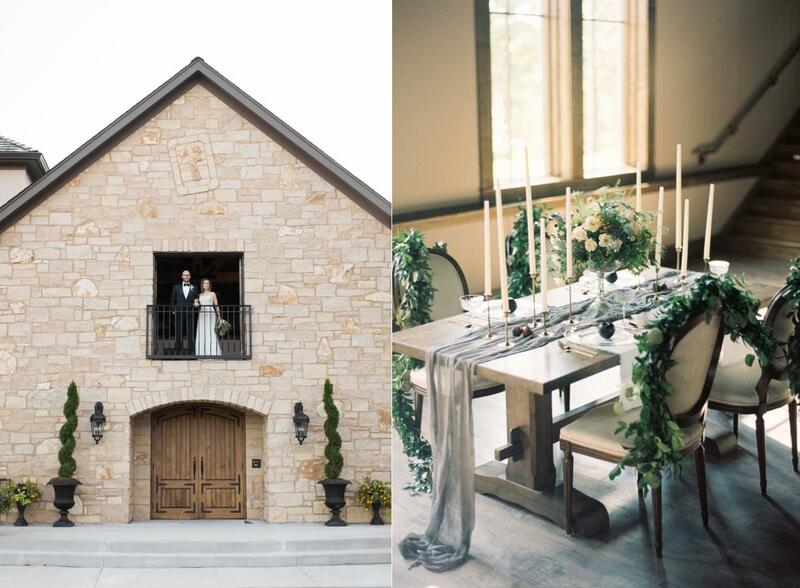 150 acres of verdant countryside surround this historic estate on the Missouri Bluffs. We're talking real country here, with the breaktaking vistas overlooking the Confluence of the Missouri and Mighty Mississippi River. 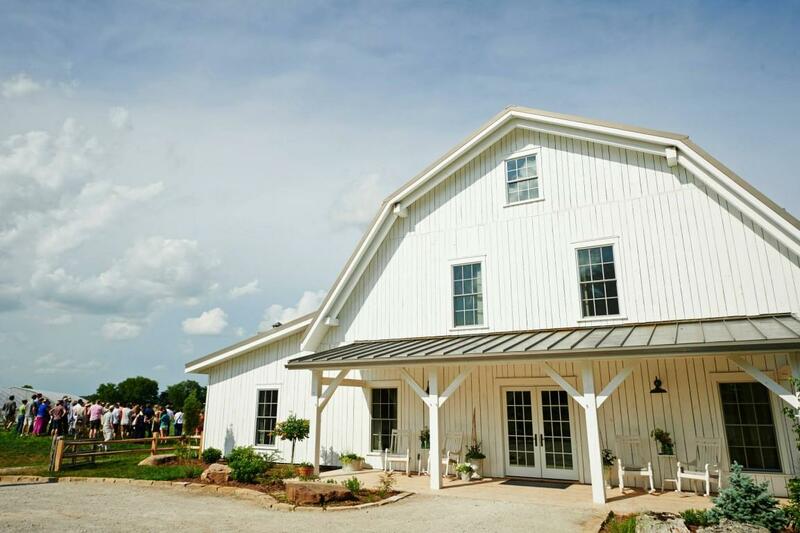 Plus, the farm’s mission is to rescue animals, so your guests can enjoy everything from horses and goats to turkeys and quail. 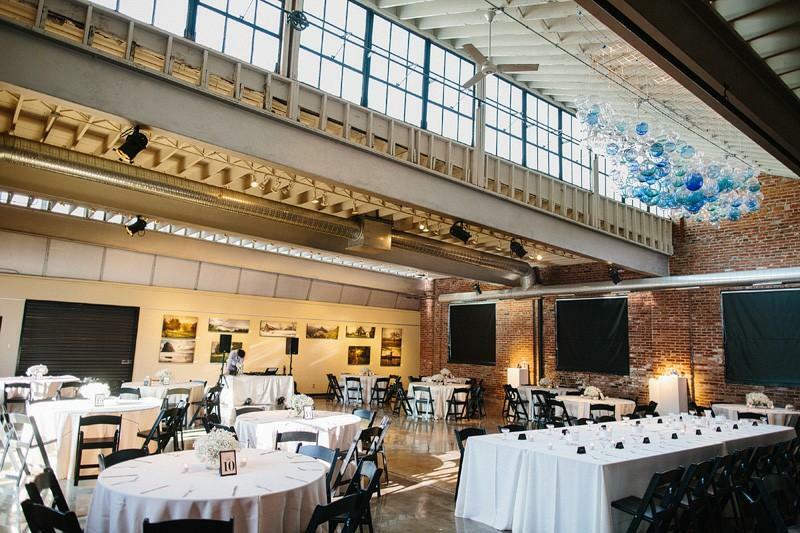 With a top-story view of the downtown skyline, this vintage-style event space is all charm and creativity. 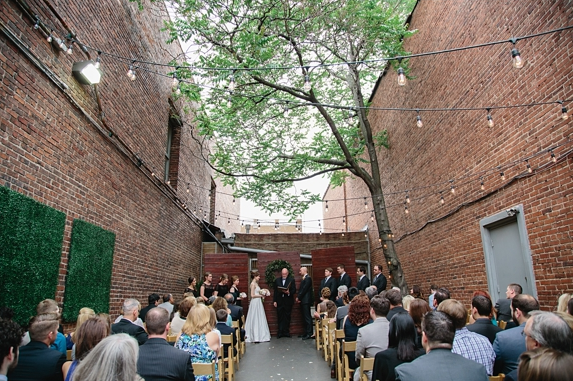 The building features unique galleries and artists' studios, but it’s more so known for its one-of-a-kind wedding venue. Outfitted with the romantic heart of the 19th Century, with all the style and wonder of the modern era, this is surely the place to be. 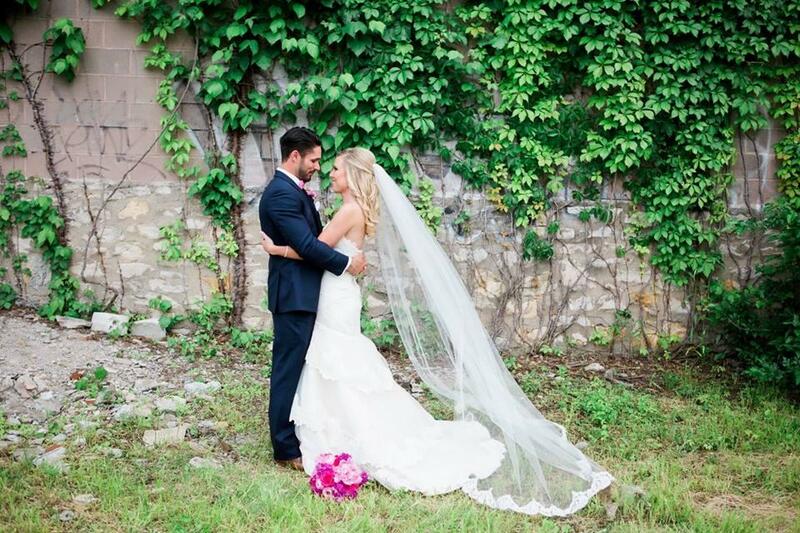 A wedding doesn't always have to be an overwhelming tornado of stress. 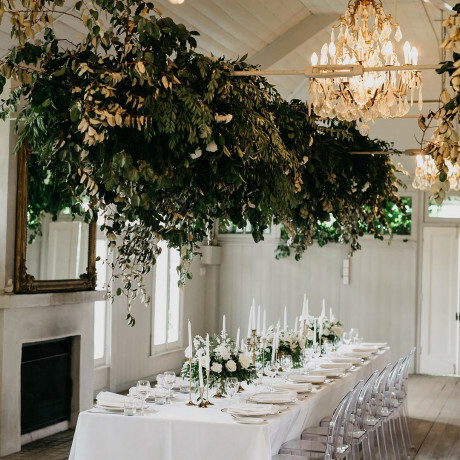 Here, on a quiet woodland lake in wine country, a couple and their guests can relax, breath easy, and simply enjoy the weekend of wedding activities. Between the barn, pavilion, and bonfire, it'll be hard to ever leave, but these are the memories that will last a lifetime. 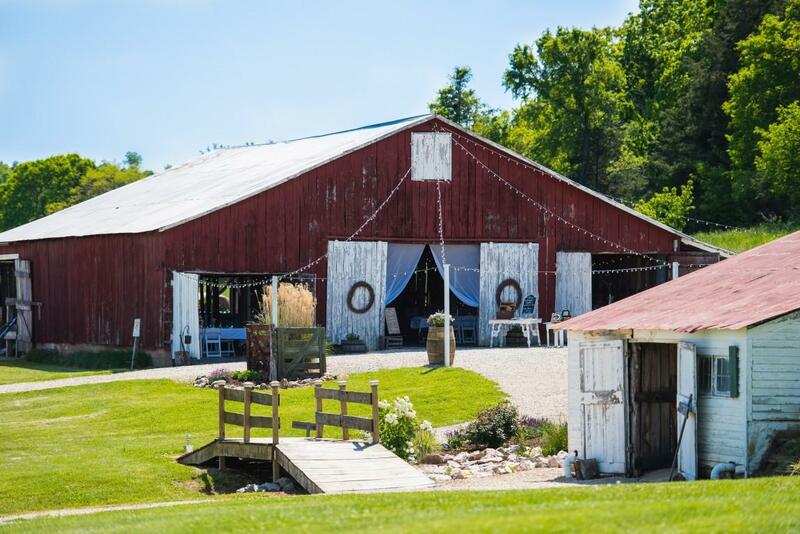 Owned by the same family for seven generations, this historic farm specializes in farm-to-table weddings. 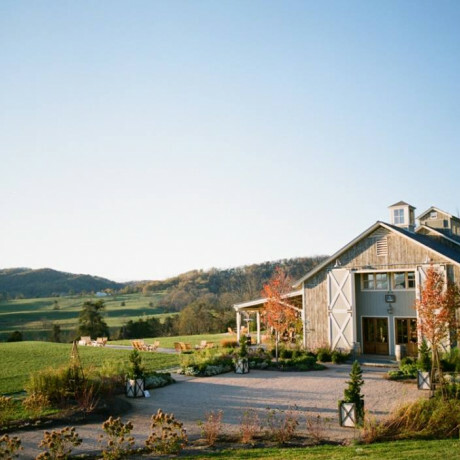 Unforgettable experiences are a cornerstone here, with rustic charm, understated elegance, and always a warm welcome. There's hardly a more picturesque setting with beautifully landscaped grounds of rolling hills and ponds. It’s a country daydream. 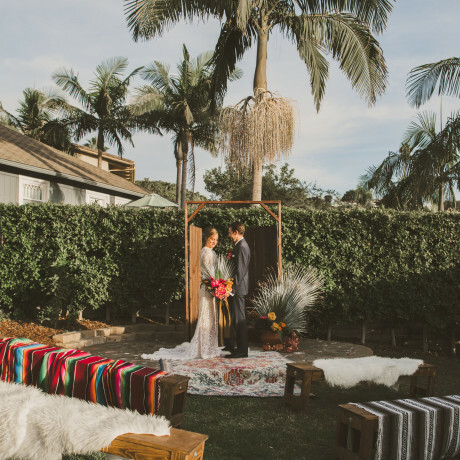 Looking to have a totally one-of-a-kind wedding? Airstream Lounge KC is the answer and is packing up and going with you. 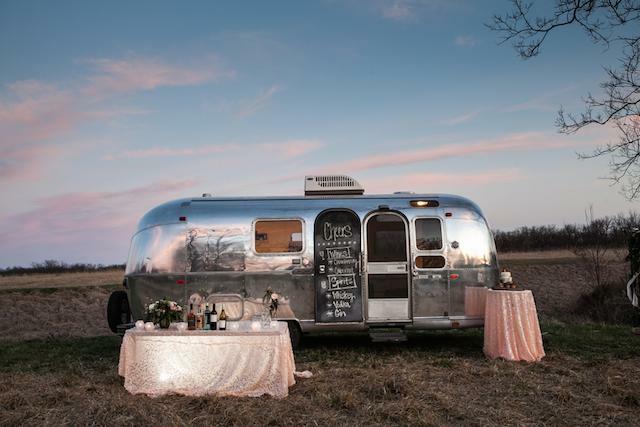 These restored vintage airstreams are ready to take your wedding up a few notches and impress guests with a photo booth, lounge areas and changing rooms. Cool, right? In the Crossroads Arts District, 1909’s architecture has been revitalized. 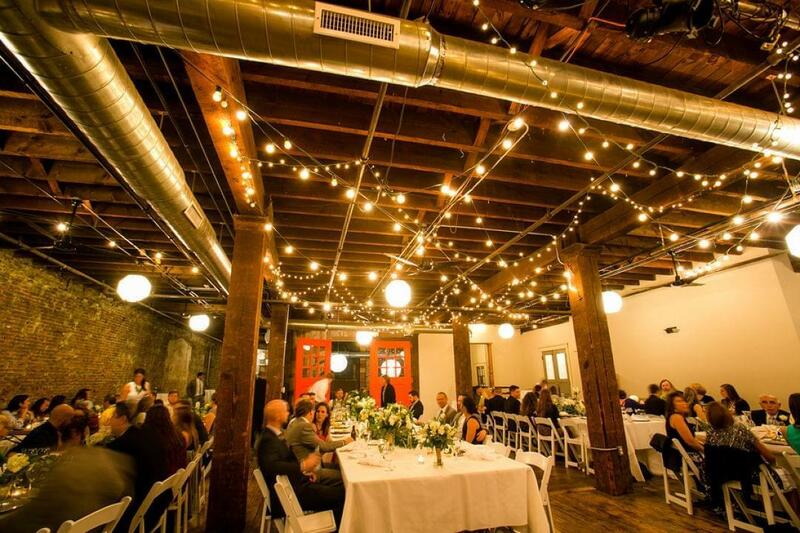 Original hardwood floors, brick walls, and exposed beamed ceilings with skylights ensure that every wedding photo taken here is a keeper. Picturesque with indoor and outdoor spaces, it’s pretty hard not throw an exceptional reception here, especially with high windows that showcase all of downtown. 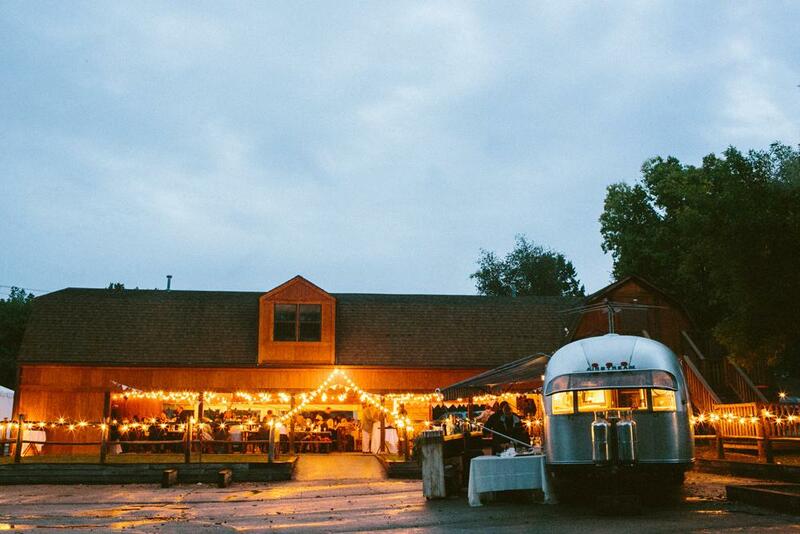 Nestled within a private 330-acre bison ranch is the wedding of western dreams. This eco-friendly escape from city life has endless pastures for the breeze to roll through below a twinkling starry night sky. 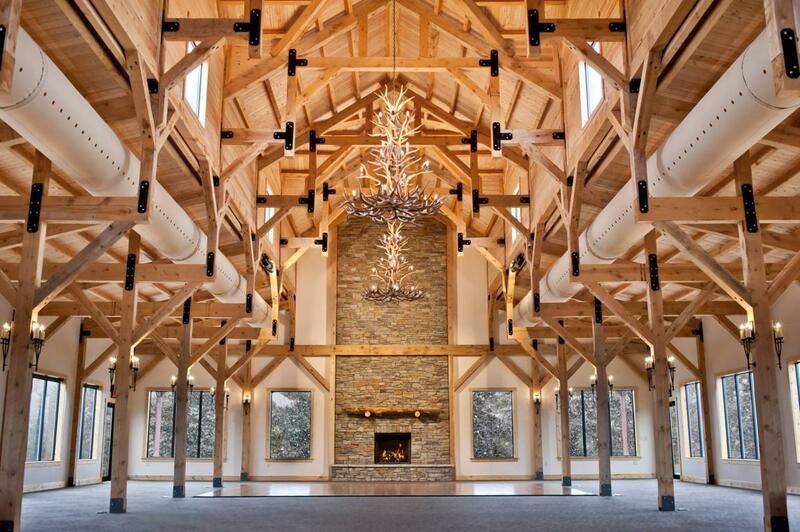 The ranch includes a lodge, a banquet hall, an art gallery, a family-size firepit. Plus, there's a guided haywagon tour of the bison herd. Springing to grand life in the rolling Ozark Mountains, this gorgeous homestead has been a beloved destination since the mid-19th Century. 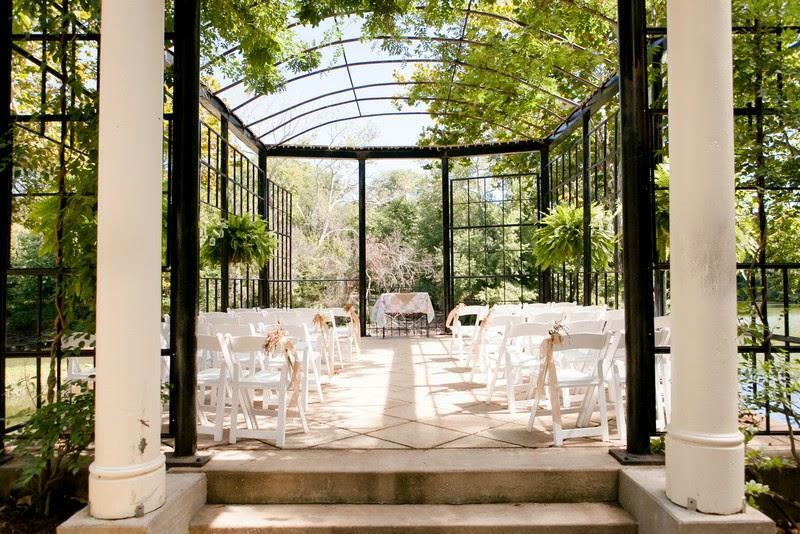 Garden wedding ceremonies here get the comforting breeze and the smell of nature, as they overlook the meadows, glades, and valleys. Heaven on Earth may just be the suitable compliment. 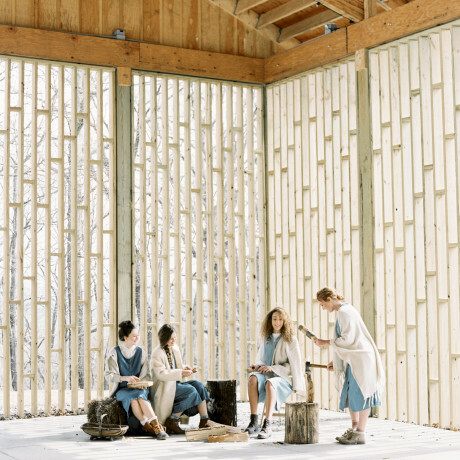 Founded by artists and housed in a working glass studio, this one-of-a-kind urban space has been beautifully restored. 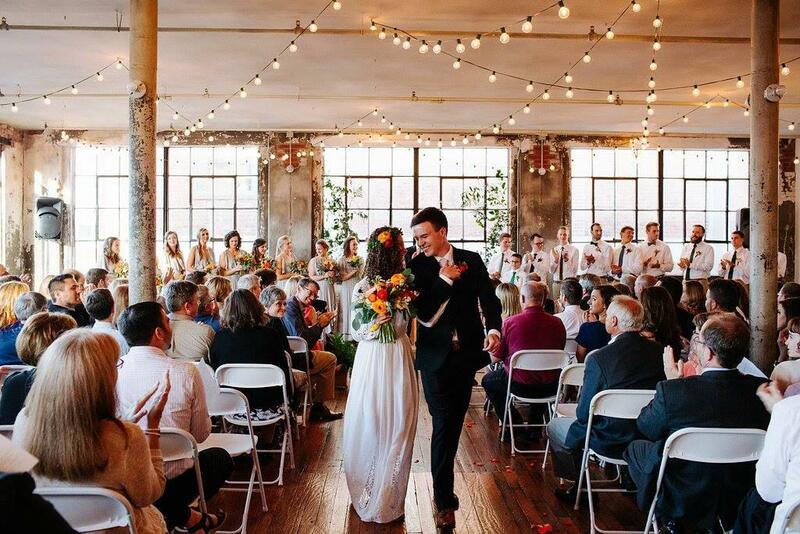 6,000+ square feet of brick walls, high ceilings, and huge windows make for a wonderfully imaginative wedding. Plenty of natural light and unique art works keep guests aglow. 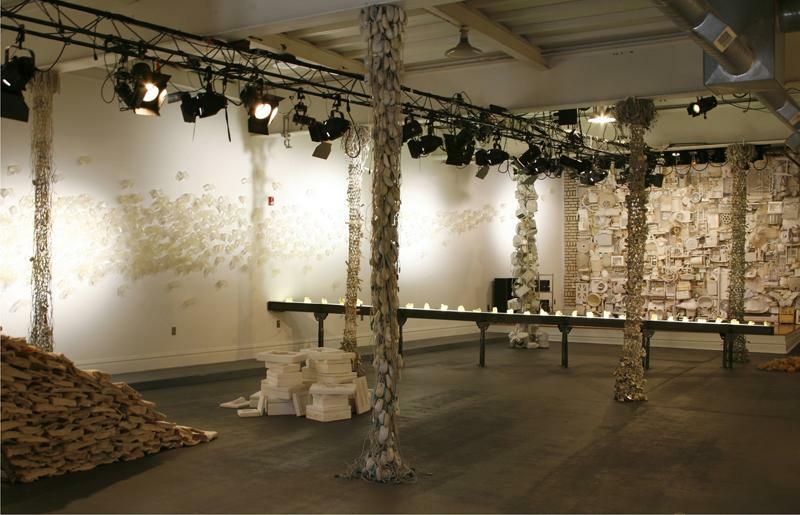 Part art gallery, part event space, this place is a one-stop-shop. 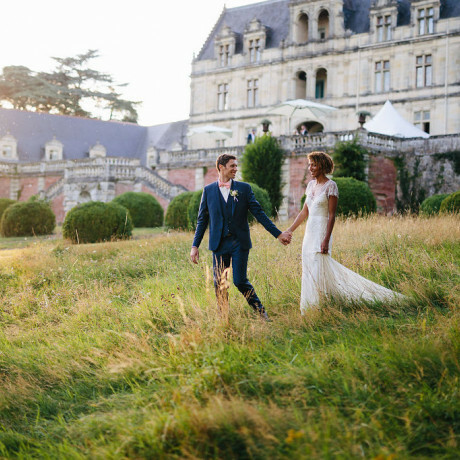 With a team ready to leap into action to create your dream wedding and rentals included, Mad Art is an easy 'yes.' Don't forget about the undeniable cool factor of the gallery that serves up the perfect blank canvas just waiting for you to transform. 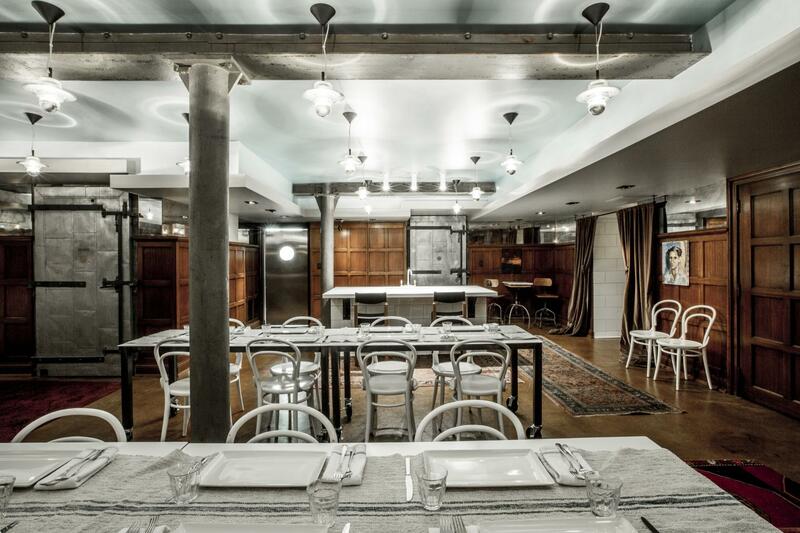 As much urban contemporary as it is classically elegant, this place is swanky. 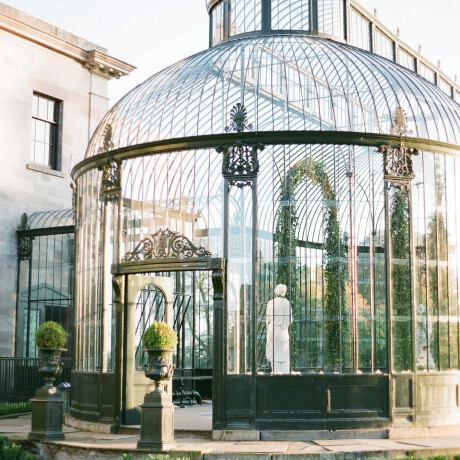 We're talking copper and crystal chandeliers, cherry wood floors, plantation shutters, and an Italian villa vibe. Imagine guests stepping through the stunning marble entryway with colorful flowers hanging from the balcony railing above, only to step into a jaw-dropping ballroom. On top of all that, the bartenders are more than ready to give the bride and groom their own signature cocktail. Down century-old stairs is The Cellar, one of the coziest spots to ever exist. Wrapped in mahogany panels, original artwork, and antique rugs, the private room has a cocktail bar and fireplace. 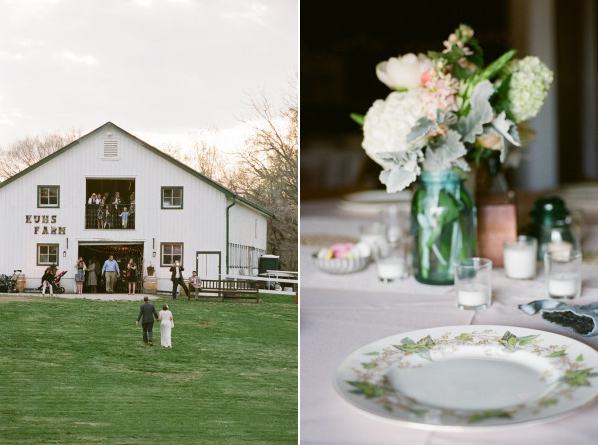 If you're looking to throw a small wedding for your nearest and dearest, this quaint joint focuses on seasonal fare, sustainability, and seclusion. 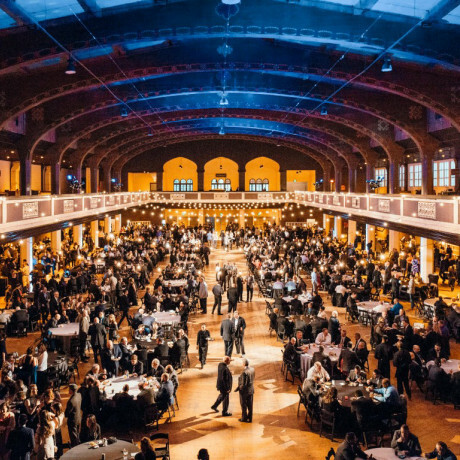 Bringing the urban loft to Kansas City, Feasts of Fancy is committed to offering couples a stylish alternative to the country club or hotel. With indoor and outdoor spaces available and a BYO policy, the party potential here is exponential. Get ready for a rockin' good time thanks to this team who knows a thing or two after hosting events here for over eight years. 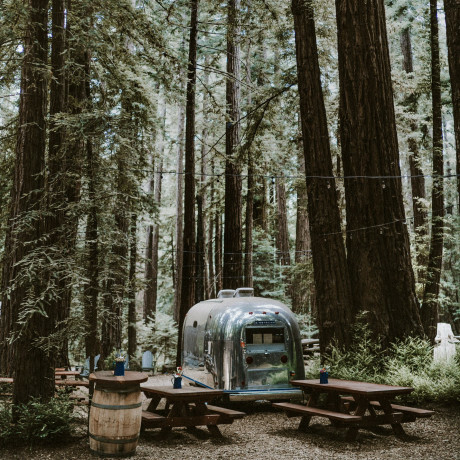 Family camping can be a breeze when surrounded by trees, fireflies, babbling water, and a hotel-esque swimming pool. Located on Historic Route 66, this is surely camping at its most accessible. 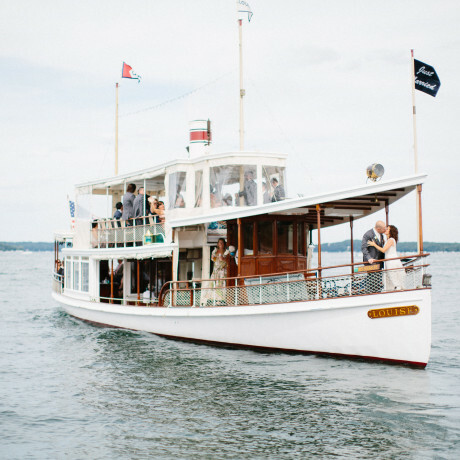 Less than a half hour from everything from botanical gardens and city museums to breweries, amusement parks, and riverboat rides, this is the total package of fun for a wedding. 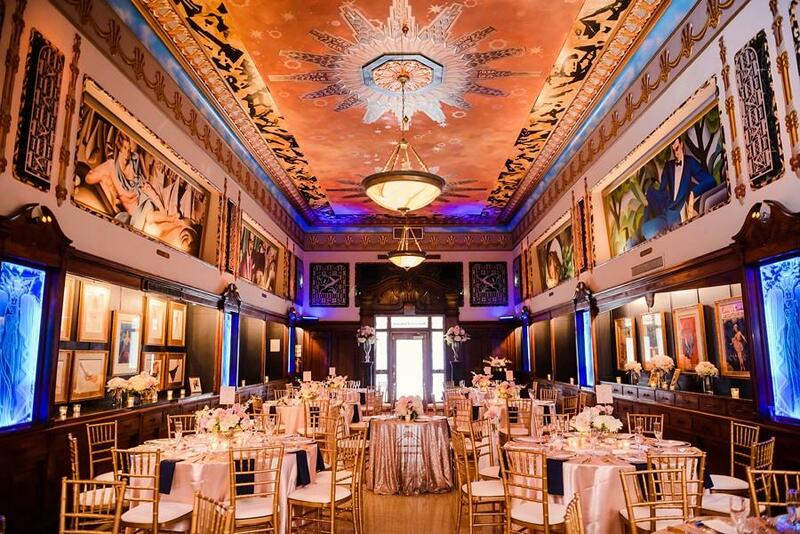 An eye-popping art deco splendor, this beautifully restored 1920s multi-space venue could be mistaken for a rich, colorful dream of Jay Gatsby. Opulence bounces through every wedding here to make any couple and their guests feel like tycoons and socialites. Naturally, there’s a lower-level lounge that has all the makings of speakeasy smooth. One of the first urban venues to strut into the city's modern scene, this place serves up the truly local vibe. 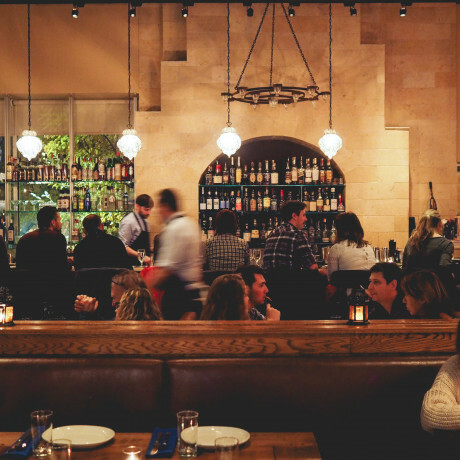 Exposed brick, reclaimed wood, and bistro lights make for one heck of a warm reception. 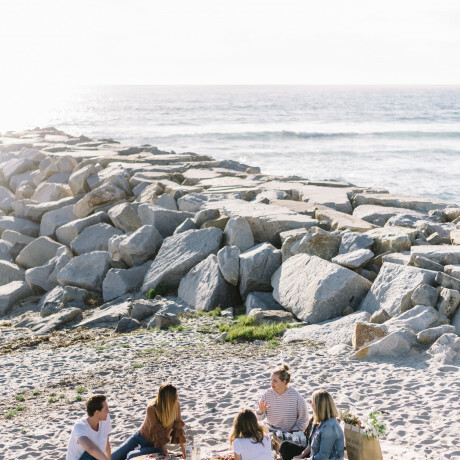 Any and all wedding guests will likely feel as if this is their usual hangout, even if they’re only in town for the wedding.